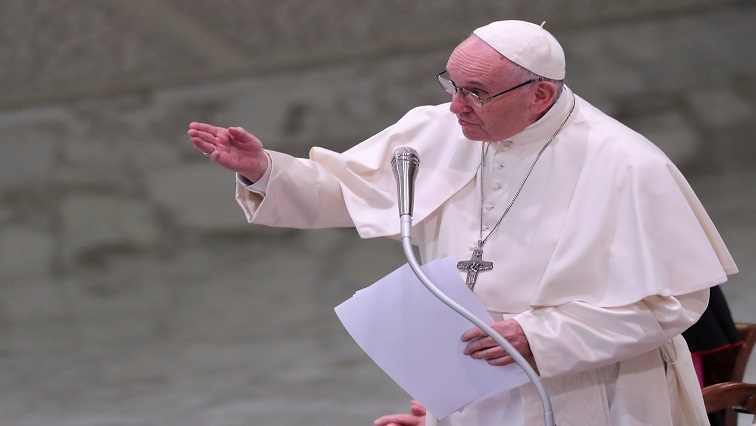 Pope Francis announces Japan visit in November - SABC News - Breaking news, special reports, world, business, sport coverage of all South African current events. Africa's news leader. Pope John Paul II visited Japan in 1981. “I will go to Japan in November,” he said on board the Papal plane bringing him to Panama for a gathering of young Catholics. The Argentine pontiff has repeatedly voiced a desire to visit Japan, home to some 450,000 Roman Catholics, including most recently in September last year. Around 510,000 Protestants live in the largely Shinto Buddhist country, according to Japan’s Agency for Cultural Affairs. Francis had wanted to work as a missionary there in his youth but abandoned the plan after a lung operation. The pope has made two trips to Asia since his election five years ago, visiting the Philippines and Sri Lanka in 2014, followed by Myanmar and Bangladesh last year. In January of last year, Francis issued a harrowing photograph taken in 1945 showing a young Japanese boy carrying his dead brother. The child, carried on the boy’s back, was killed when the United States dropped a nuclear bomb on Nagasaki. Francis, who has often spoken of the dangers of nuclear weapons, had written on the back of the image just four words: “The fruit of war”. This entry was posted on 23 Jan 2019,08:06PM at 8:06 PM and is filed under World, Homepage Featured Story Slider. You can follow any responses to this entry through the RSS 2.0 feed. Both comments and pings are currently closed.